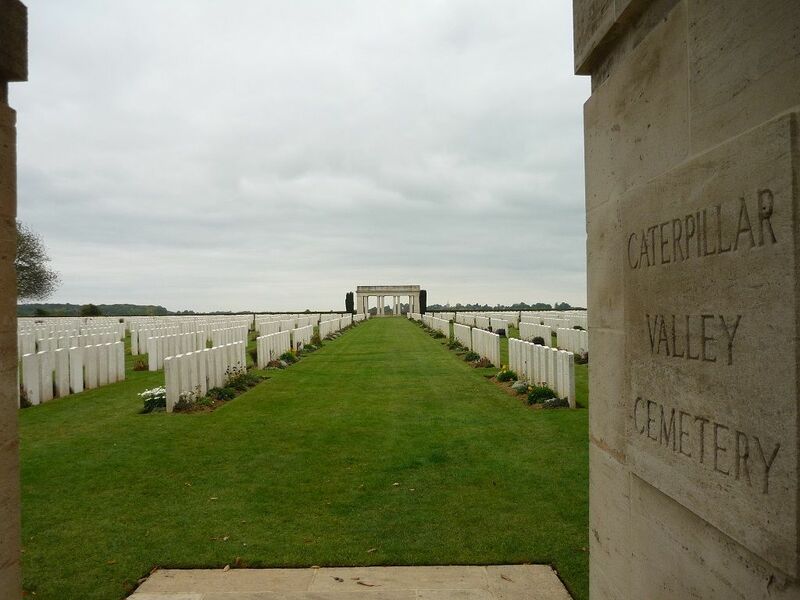 101 years exactly after their deaths in 1916 the graves of Fenton Ellis Stanley Phillips MC and Leonard Cameron Kidd MC were rededicated in a moving ceremony in the Caterpillar Valley Cemetery near Longueval in the Somme Valley. Second Lieutenant Fenton Phillips, the son of the Rector of Bow, was killed whilst on a reconnaisance mission flying over the front line near the viilage of Le Sars in the afternoon of 12 October 1916. His pilot, Lieutenant Leonard Kidd was killed at the same time. 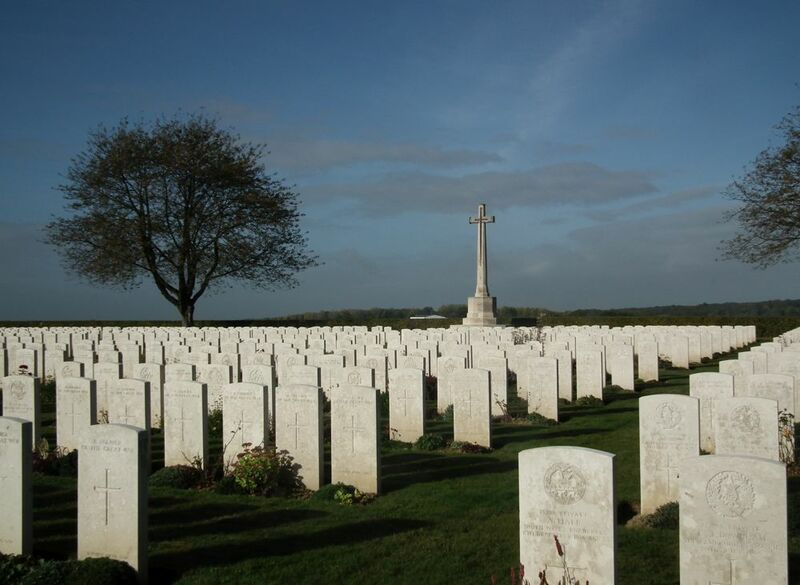 They were buried side by side in un-named graves in the Commonweath War Graves Commission Cemetery in Longueval. 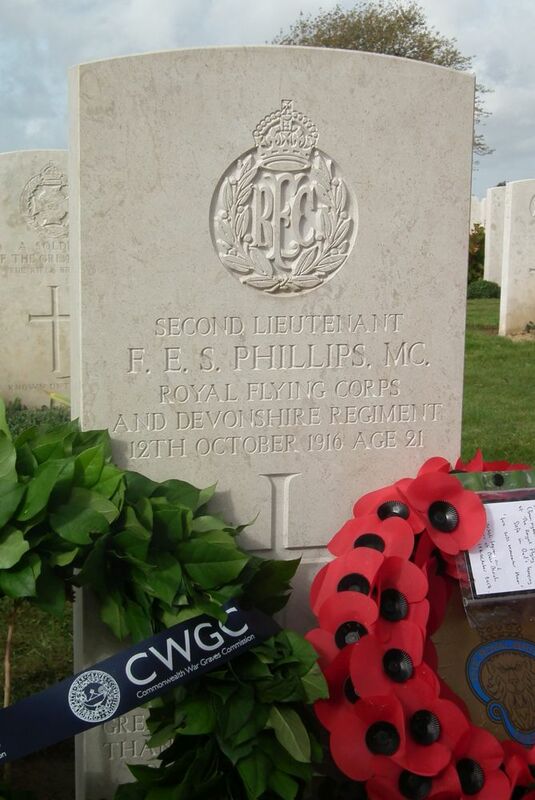 Until now Fenton Phillips's headstone was engraved "A BRITISH AIRMAN (OBSERVER) OF THE GREAT WAR - KNOWN UNTO GOD". Painstaking research by Steve St Amant, a former Royal Canadian Navy officer, showed that both airmen had been Royal Flying Corps officers, and that both had been awarded the Military Cross. It was this that led to identification of the graves link. 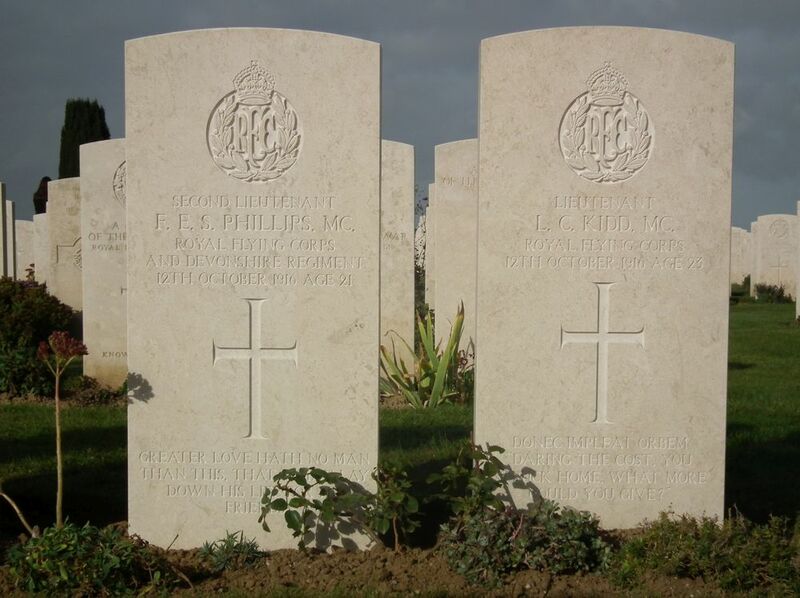 New headstones have been erected, showing full details of both men. 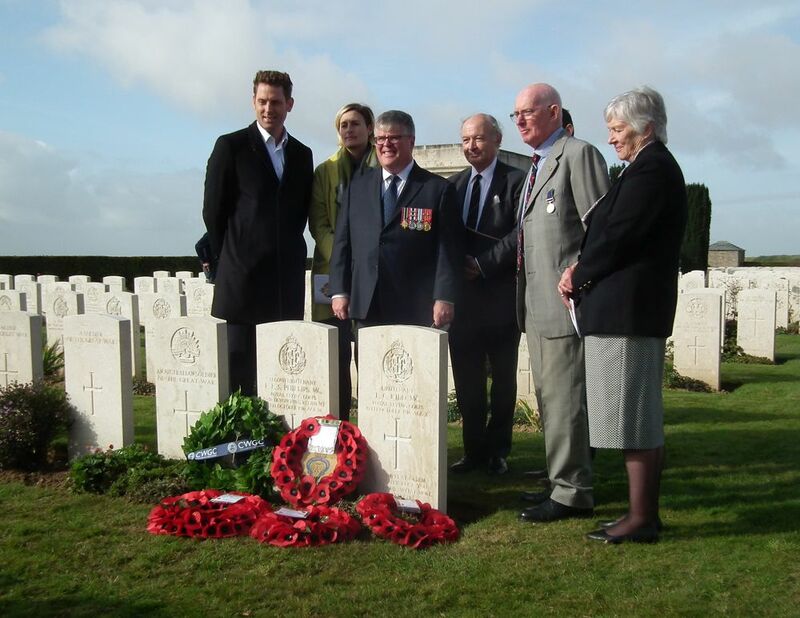 The graves were rededicated, with full military honours, in a service arranged by the Joint Casualty and Compassionate Centre (Ministry of Defence) link. Second Lieutenant F.E.S. Phillips MC. Royal Flying Corps and Devonshire Regiment. 12th October 1916. Age 21. "Greater love hath no man than this, that a man lay down his life for his friends." Lieutenant L.C.Kidd MC. Royal Flying Corps. 12th October 1916. Age 23. "Donec impleat orbem." "Daring the cost, you struck home. What more could you give?" Steve St Amant, centre, with relatives of Fenton Phillips and Leonard Kidd. A poppy wreath from the Royal British Legion was brought from Bow and laid at Fenton Phillips's grave. Caterpillar Valley Cemetery. The large memorial is the Cross of Sacrifice, designed by Sir Reginald Blomfield link who was born in Bow in Devon in 1856. Between 1853 and 1857 his father Revd George John Blomfield was Rector of Bow, where Fenton Phillips's father was Rector between 1912 and 1929.